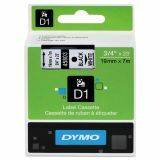 DYMO D1 High-Performance Polyester Removable Label Tape, 3/4" x 23 ft, Black on White - Durable, polyester-coated D1 tape is both water-resistant and sunlight-resistant and endures temperatures from zero to 194 degrees Fahrenheit. 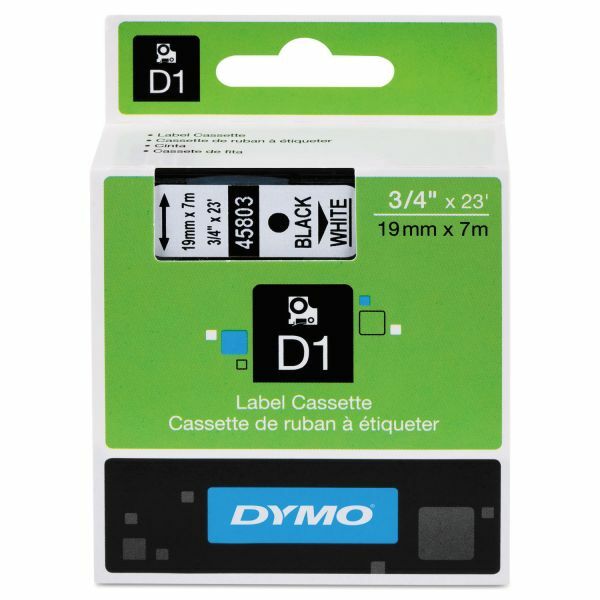 Patented D1 tape cartridge contains easy-peel, split-back tape. Special backing is split down the middle to make separation of tape backing a snap for fast and easy label application. Tape is designed for use with Dymo 2000, 5500, LM200, LM350, LM360D, LM400, LM420P, LM450D, LM500TS, LMPC, LMPCII, LMPnP Wireless, LP300, LP350, and LabelWriter Duo.